This is a Marvel Legends 6" inch Deadpool in Boxer Shorts review. 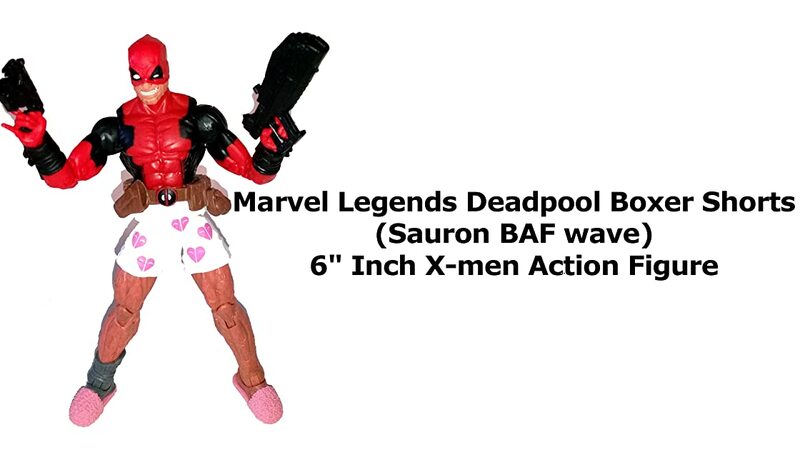 (Part of the Sauron build a figure BAF wave) Deadpool is wearing his casual look with this action figure. Hasbro did a nice job making this figure. The sculpt, details and articulation are high quality. A fine addition to any X-men or Marvel Legends display.